Americana has been an underlying influence throughout the latest round of S/S 18 shows at New York Fashion Week. 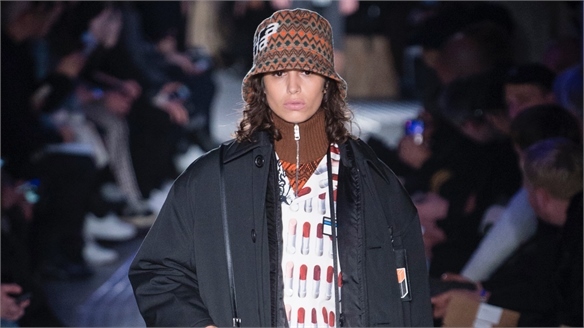 Coach’s creative director Stuart Vevers took the look to the max with his homage to early 80s New York City via the legendary Mudd Club and graffiti artist Keith Haring. 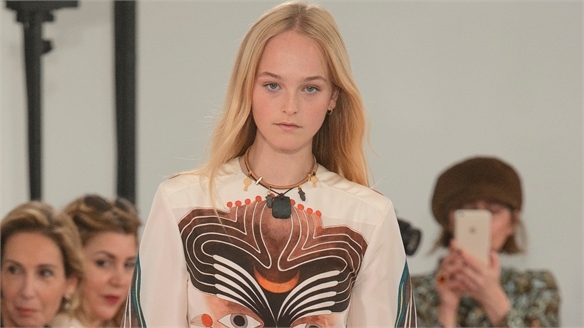 Add some traditional American themes like prairie patchworks, preppy collegiate looks and classic Western styling, and Vevers’ Spring/Summer collection ticked all the trend boxes likely to appeal to his young international fan base. 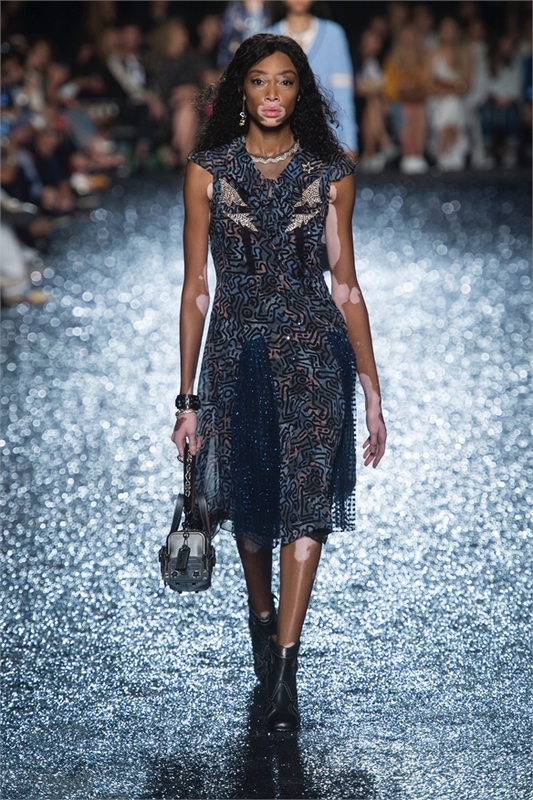 Tinseltown glitter hit everything from the runway itself to the covetable cowboy booties and delectable 20s-style, lace-edged slip dresses. 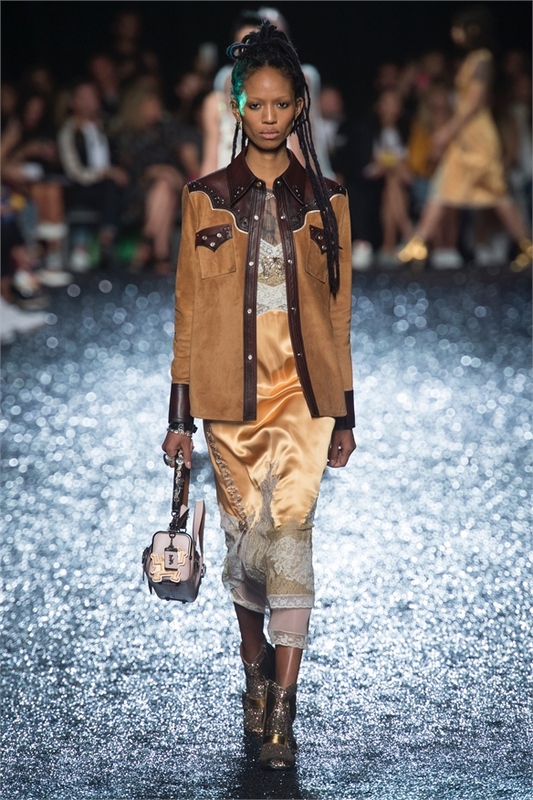 The latter were casually layered under metallic biker jackets or appliqued shearling jackets in a vintage-inspired way. 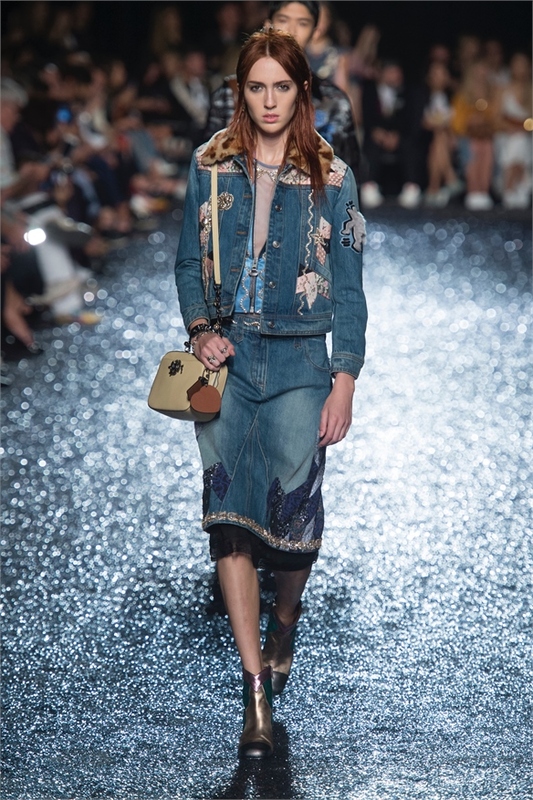 Patchwork denims and faded prairie-girl florals kept the look grounded, alongside slouchy collegiate knits and studded suede western shackets, while sleek satin pantsuits and tuxedo-striped hipster pants upped the clubby-glam quota. The Haring influences were seen everywhere, from artfully placed appliques and intarsias – guaranteed to become the collection’s most sought-after pieces – to iconic beaded squiggle motifs worked as patterned all-overs on sheer bias dresses. The delicate feel of those diamante-trimmed, boudoir-esque slip dresses looked new for this label, adding to the collectable heritage feel of the collection, and compounded by Vevers’ palette of pretty pales and soft fruity pinks and reds. 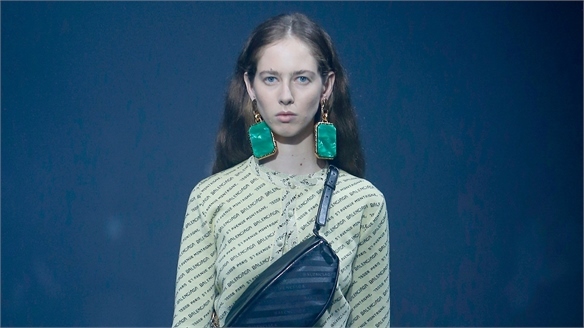 Accessories ticked all the trend boxes too – from the metallic Western-style ankle boots, to the Haring-appliqued box bags and 80s-style coloured eyewear. 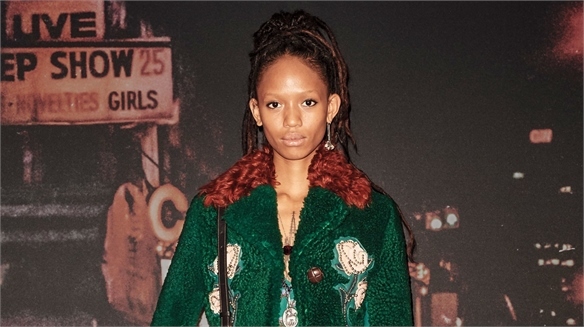 Pre-Fall 18 Influencer Show: Prada Pre-Fall 18 Influencer Show: Prada Miuccia Prada revisited the house archive for her latest Pre-Fall womenswear showing, deserting the recent mood for maximalism in favour of a revival of her groundbreaking 90s sportswear looks. 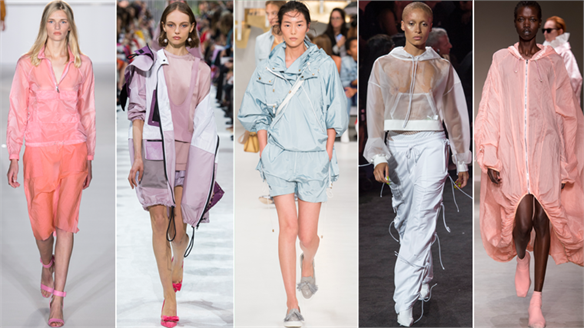 Beach 2019: Fashion Inspiration Beach 2019: Fashion Inspiration Taking cues from our Lucidity Fashion Forecast, a prismatic palette, ultra-sheer materials and light-beam effects deliver a nostalgic makeover for Beach 2019. Noughties excess and playful spirituality inform bold looks that are made to be seen. 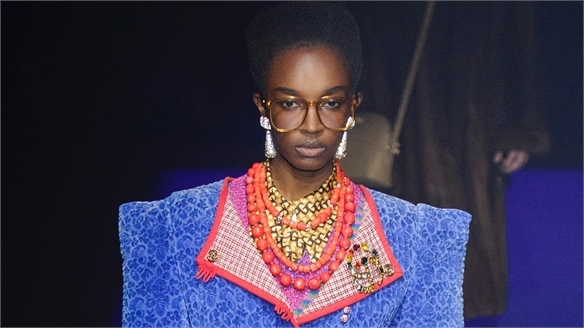 Prom 2019: Fashion Inspiration Prom 2019: Fashion Inspiration With overtones of 50s kitsch, New Romantics and 90s club kids, Prom 2019 is an omni-nostalgic cut-and-paste job – underpinned by a homemade couture quality in resourcefully reconstructed pieces from the dressing-up box. 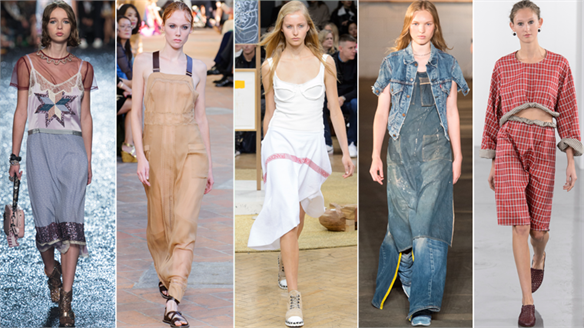 For more on this creative ‘make do and mend’ aesthetic and retro re-engineering, see our Resilient Fashion Forecast trend. 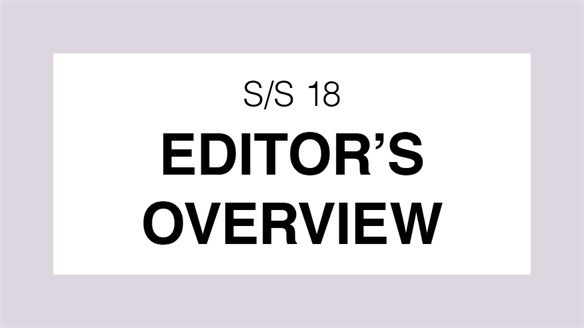 S/S 18: Editor's Overview S/S 18: Editor's Overview The S/S 18 runway season has finally drawn to a close. Following four weeks of more than 400 back-to-back shows and with our commercial analysis all done and dusted, it’s time to reflect on the season’s key messages and takeaways. 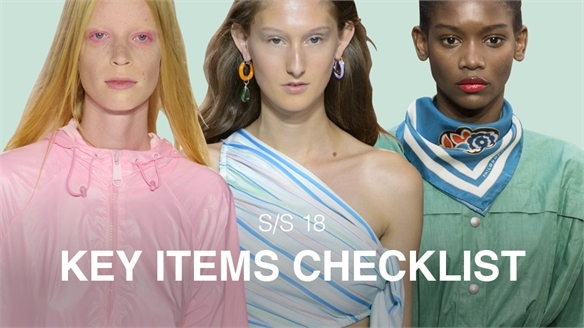 S/S 18: Key Items Checklist S/S 18: Key Items Checklist The S/S 18 Key Items Checklist report gives you the definitive guide to the hottest commercial key items for the season ahead – a one-stop shop to help keep your business ahead of the competition. We highlight the ongoing mood for all things retro-inspired, with the emergence of party-spirited disco-diva looks and luxe sportswear as the seasonal game changers. 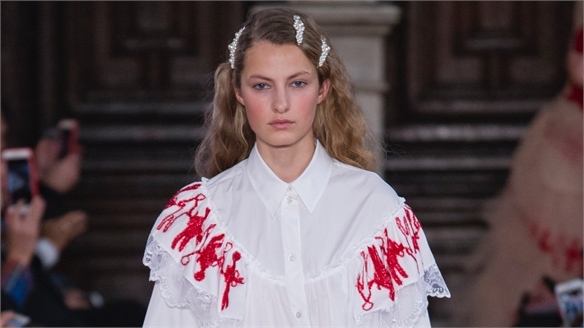 S/S 18: Details & Trims S/S 18: Details & Trims As we all know, the devil is in the detail, and we can expect to see several S/S 18 directions – from asymmetry to funky new trims – influencing the high street next summer. 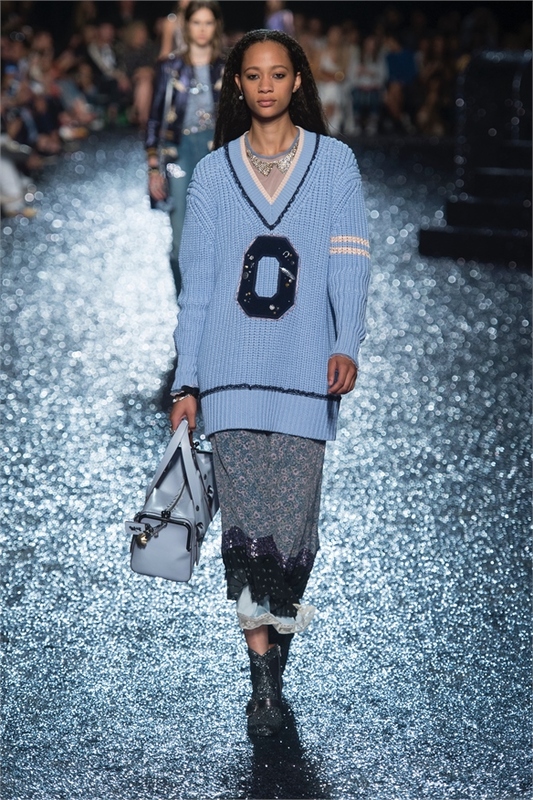 S/S 18: Knitwear S/S 18: Knitwear Several commercial knit directions emerged on the S/S 18 runways, as designers opted for slouchy proportions and updates on cold-shoulder silhouettes. Watch too for ornate jewel trims. 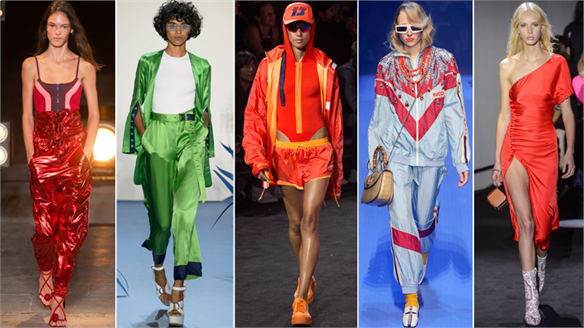 S/S 18: Tops & Blouses S/S 18: Tops & Blouses Sports-inspired silhouettes, disco-diva asymmetric tops and soft, vintage-style blouses are all hitting the sweet spot for S/S 18, along with the surprising return of the hip-grazing bodysuit and festival-ready waistcoat. 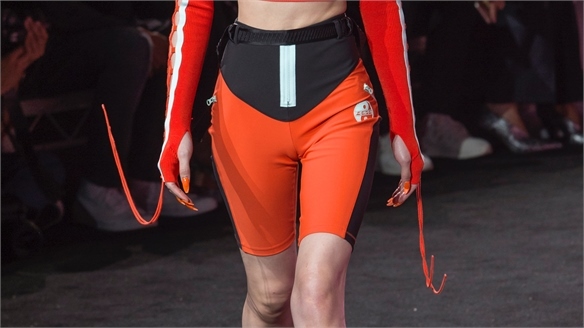 S/S 18: Pants & Shorts S/S 18: Pants & Shorts The S/S 18 runways endorsed pants and shorts as one of next summer’s key product areas, where we see fabric giving core items the fashion edge, along with an emphasis on luxe sports shapes. S/S 18: Skirts S/S 18: Skirts The runways were low on new skirt directions for S/S 18, making this the most low-key product area of the season. Core basics like the mini remain, and we can expect to see the return of the handkerchief-hem skirt as a flirty new key item. 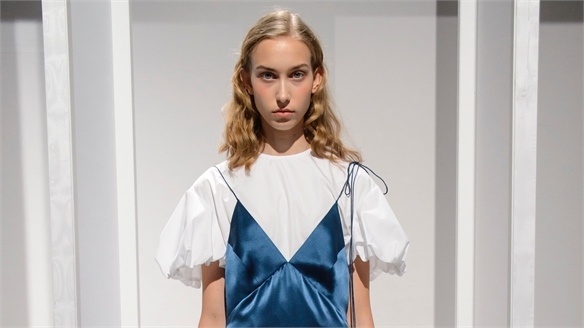 S/S 18: Dresses S/S 18: Dresses The dress is a strong product category for S/S 18 with a raft of new silhouettes and a return to subtle body-skimming treatments, as well as an emphasis on retro-inspired asymmetric details. S/S 18: Tailoring S/S 18: Tailoring A new relaxed mood is set to give tailoring a more commercial edge next season, with a focus on soft unstructured pantsuits, the big blazer, shorts suits and a strong play on colour. 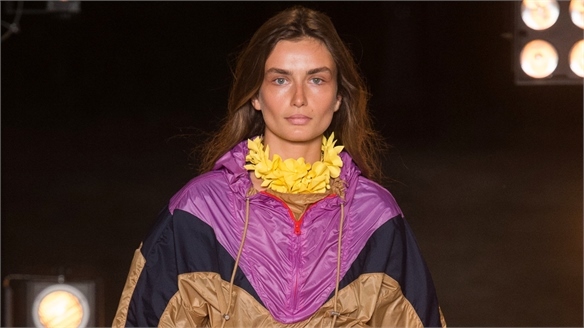 S/S 18: Outerwear S/S 18: Outerwear Outerwear looks set to be one of S/S 18's biggest drivers, as items like the anorak, cagoule and parka step into the fashion spotlight, creating easy, casual looks with great commercial appeal. 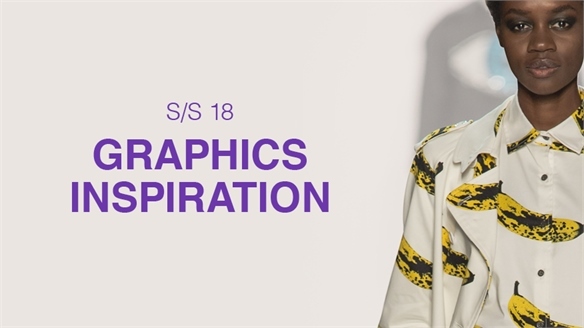 S/S 18: Graphics Inspiration S/S 18: Graphics Inspiration To support the key Print & Pattern callouts featured in our Elements Edit, we highlight the key graphics themes from the S/S 18 catwalks. 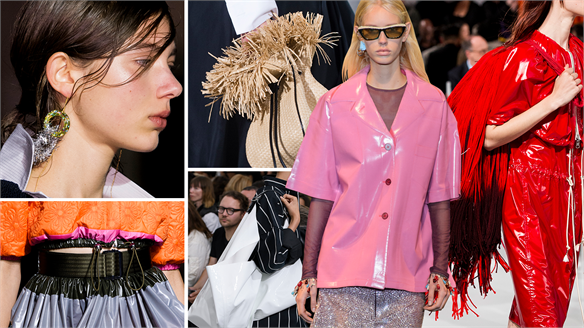 S/S 18: Footwear & Accessories Edit S/S 18: Footwear & Accessories Edit An optimistic party mood and a return to craftsmanship were the key takeaways from S/S 18, with bold colour still at the top of the agenda. 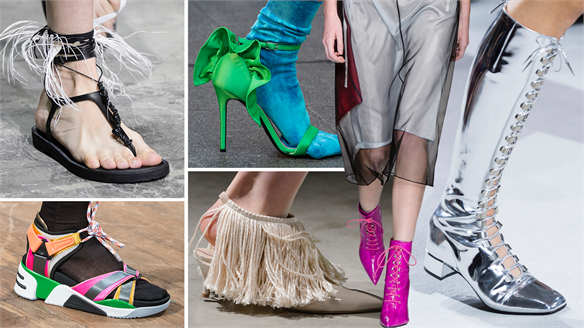 S/S 18: Footwear Edit S/S 18: Footwear Edit The optimistic party mood that swept across the S/S 18 catwalks takes hold for next season’s footwear, as we see materials and details take centre stage alongside silhouettes with a distinctly sporty edge. 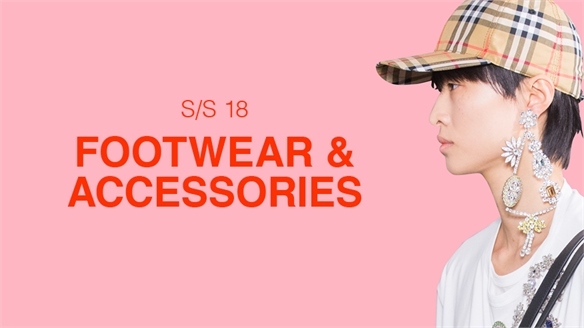 S/S 18: Accessories Edit S/S 18: Accessories Edit A mix of playful and practical reflects the upbeat mood that permeated S/S 18, with a bold, bright palette and unexpected materials bringing exciting developments to accessories next season. S/S 18 Lookbook: Weather Girls S/S 18 Lookbook: Weather Girls It’s all about the influence of waterproof outerwear as unpredictable weather and climate change get designers into pragmatic and protective mode. However, the mood is lightened with featherweight fabrications and a pretty pastel palette. 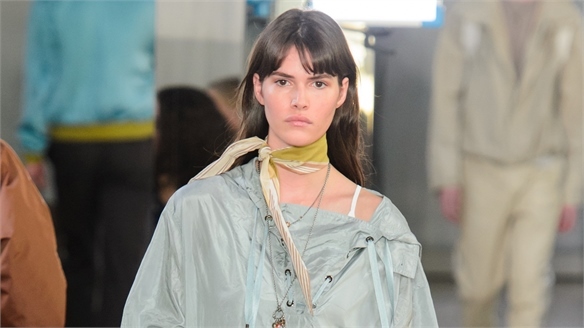 For more inspiration, see our S/S 18 Seascape Fashion Forecast, which is confirmed by this key catwalk look. S/S 18 Lookbook: Custom Queen S/S 18 Lookbook: Custom Queen Another incarnation of escapism comes from the dressing-up box, as we see the trend for all things customised and personalised played out in a pretty froth of handmade fantasy for S/S 18. This confirms our Artisan S/S 18 Fashion Forecast trend, where time to create is celebrated as a luxury – with homemade couture as the outcome. S/S 18 Lookbook: Disco-Active S/S 18 Lookbook: Disco-Active Upbeat and optimistic, the heady ‘good times’ of early 80s disco provide an escapist fantasy that will resonate well into A/W 18/19 and the party season. 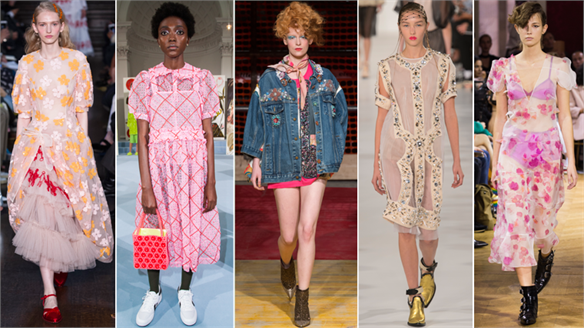 See our Nostalgia Fashion Forecast for further early 80s dancefloor inspiration. 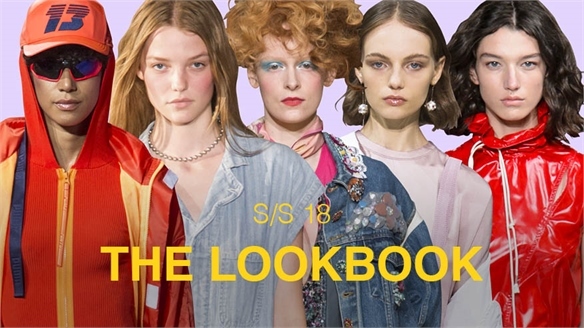 S/S 18: The Lookbook S/S 18: The Lookbook Optimism and pragmatism drive the key catwalk trends for S/S 18 – confirming our Stylus Fashion Forecast for the season. 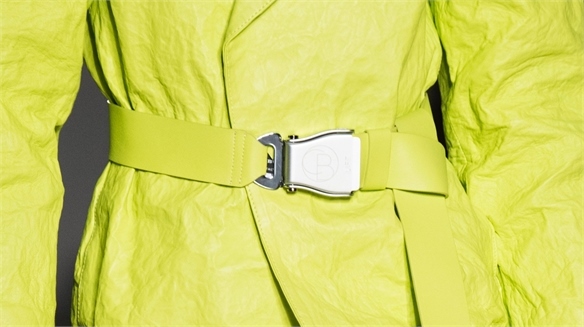 Here we identify the looks that matter, with commercial colour, fabric and key-item directives. S/S 18 Lookbook: Simple Life S/S 18 Lookbook: Simple Life Delivering great confirmation of our Off-Grid S/S 18 Fashion Forecast, this key look from the catwalks offers another take on the escapism that pervades the season. In contrast to the ‘party on’ message of Disco-Active, Simple Life is all about getting away from the complexities of the modern world, and a return to simpler, homespun and crafted fashion pleasures. 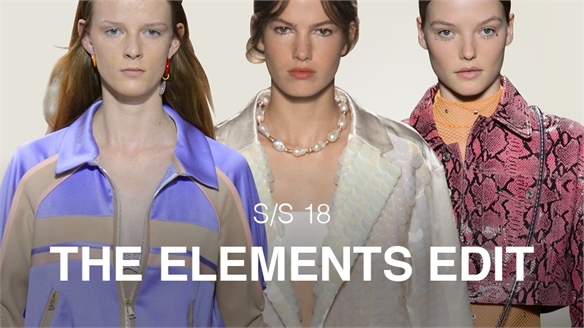 S/S 18: The Elements Edit S/S 18: The Elements Edit Clearly defined trends and a sense of optimism were the drivers on the international runways, with S/S 18 shaping up to be a season set to deliver the much-needed feel-good factor. 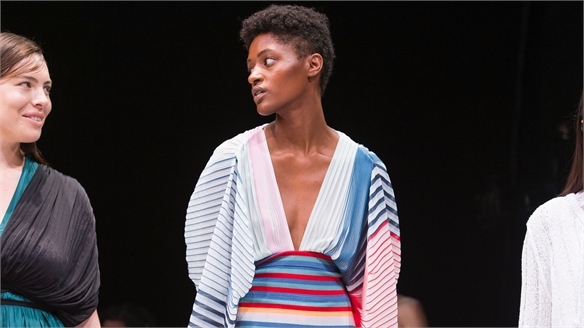 S/S 18: Colour Directions S/S 18: Colour Directions Colour is still driving fashion trends, and we can expect to see three optimistic palettes emerge for S/S 18 in the form of chalky pastels, saturated brights and pretty pales – balanced by a range of season-neutral classics like garnet, tan and grey. S/S 18: Fabric Directions S/S 18: Fabric Directions Two emerging fabric directions for S/S 18 mirror the season’s key moods, from party-ready sheen and shine to the comfort factor of homely cotton and denim – while feathers and fringing add a touch of escapist fantasy to the mix. S/S 18: Print & Pattern S/S 18: Print & Pattern From heartfelt messages and escapist photographic imagery to retro florals and the kidult feel-good factor of cartoon graphics, S/S 18 delivered some big print and pattern messages with applications for all areas of the market. 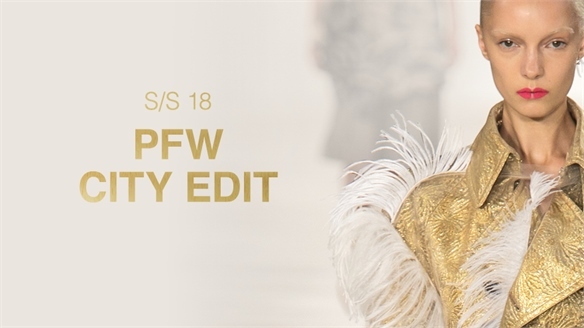 S/S 18: Paris City Edit S/S 18: Paris City Edit After four weeks of back-to-back international shows, Paris closed the current runway season, delivering some strong key looks and the overall message that S/S 18 is time to party like there’s no tomorrow. 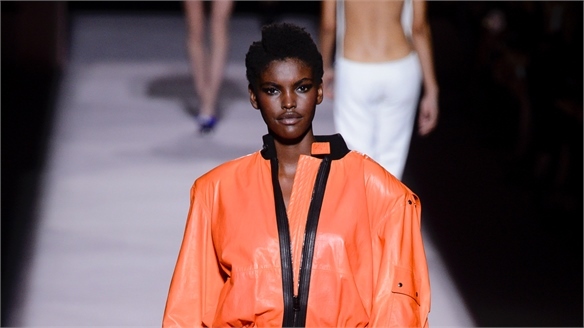 S/S 18 Paris: Key Items S/S 18 Paris: Key Items We highlight the key items that made waves on the Paris runways, where the emphasis was on all-weather outerwear, party-ready dresses and sports-inspired pieces like the polo shirt and sports short. 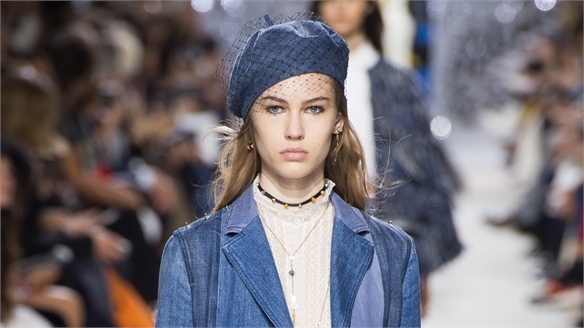 S/S 18 Paris: Key Looks S/S 18 Paris: Key Looks Paris gave us several new key looks for S/S 18, with disco-fever influences guaranteed to appeal to party girls everywhere, alongside more homespun artisanal and recycled silhouettes and the continuation of luxe sports. 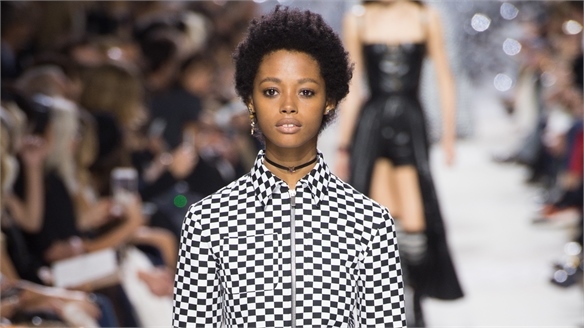 S/S 18 Paris: Print & Pattern S/S 18 Paris: Print & Pattern Paris delivered strong print stories this season, with an emphasis on commercial graphic looks that we can see having a strong influence on the high street. S/S 18 Paris: Fabric Directions S/S 18 Paris: Fabric Directions Matte and shine are the contrasting fabric messages we can take away from the latest round of shows, where frankly fake and natural compete for star billing next summer. 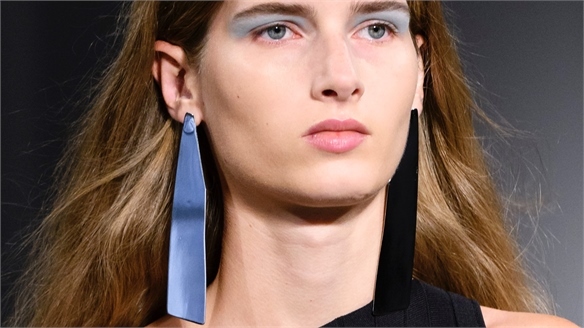 S/S 18 Paris: Colour Directions S/S 18 Paris: Colour Directions Paris confirmed that colour is set to be the driver for S/S 18, as a strong, multicoloured palette spanning mid-tone pastels through to paintbox brights was offset with the grounding forces of grey and white. 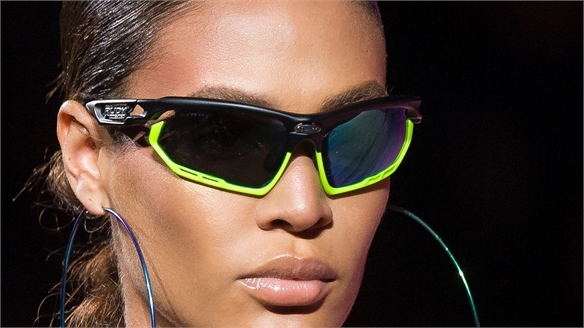 S/S 18 Influencer Show: Balenciaga S/S 18 Influencer Show: Balenciaga Demna Gvasalia has carved an iconic niche in the current fashion landscape with his disturbing play on offbeat proportions and an ability to elevate the mundane into seasonal must-haves for the fashionista set. True to form, his S/S 18 showing for Balenciaga won’t disappoint his legion of fans. 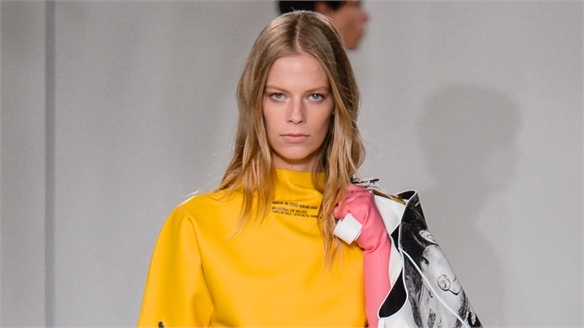 S/S 18 Influencer Show: Chloe S/S 18 Influencer Show: Chloe An astute and assured debut collection from Natacha Ramsay-Levi at Chloe saw the new designer tap into the house’s archive, and give it a formidable signature twist. 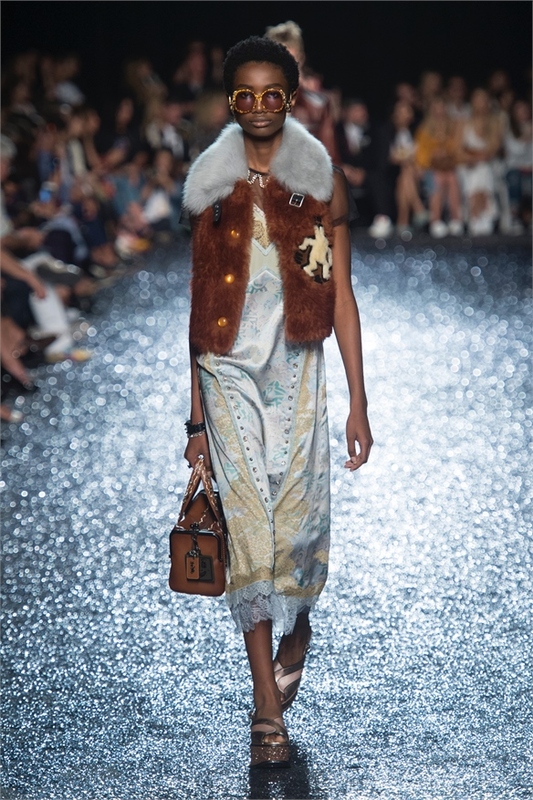 S/S 18 Influencer Show: Dries Van Noten S/S 18 Influencer: Dries Van Noten Dries Van Noten may not generate the social media frenzy surrounding other designers in Paris, but that doesn’t mean his runway didn’t deliver a parade of the most covetable clothes seen this week. 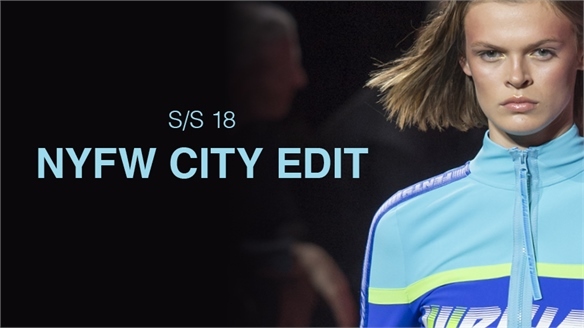 S/S 18: Milan City Edit S/S 18: Milan City Edit After three weeks of back-to-back shows, we are starting to see definitive trends emerging for S/S 18. Milan confirmed many of the key directions for the season ahead, as well as adding some new looks into the mix. 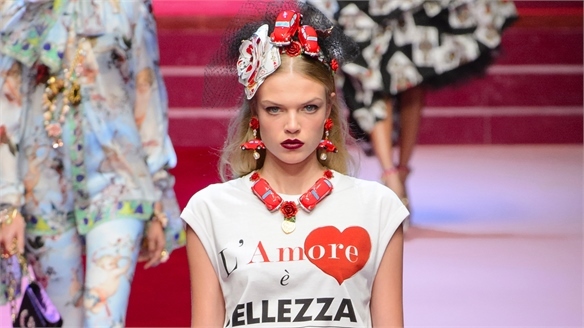 S/S 18 Milan: Key Items S/S 18 Milan: Key Items The Milan runways gave us some strong key item developments, confirming looks seen elsewhere this season with an emphasis on all-weather outerwear and soft tailoring, along with jewelled and asymmetric detailing. 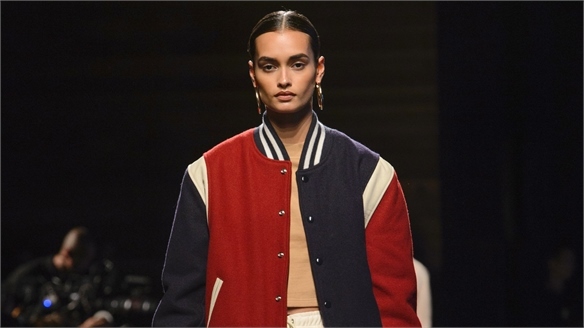 S/S 18 Milan: Key Looks S/S 18 Milan: Key Looks Sportswear and ladylike 50s silhouettes were the takeaway key looks from Milan Fashion Week, as the Italian designers confirmed trends identified elsewhere this season. 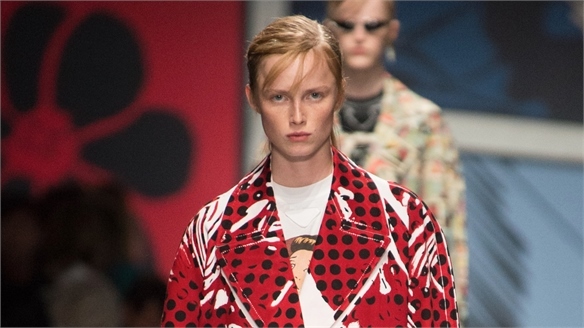 S/S 18 Milan: Print & Pattern S/S 18 Milan: Print & Pattern Several new print directions emerged in Milan, where we saw playful conversationals and unexpected dye effects sitting side by side with more conventional florals and simple graphic awning stripes. 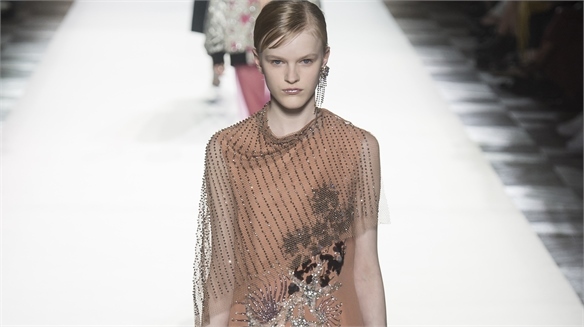 S/S 18 Milan: Fabric Directions S/S 18 Milan: Fabric Directions Milan confirmed all the key emerging fabric trends for the season ahead with a strong emphasis on shimmer and shine, as well as continuing its eternal love affair with ethereal floaty sheers. 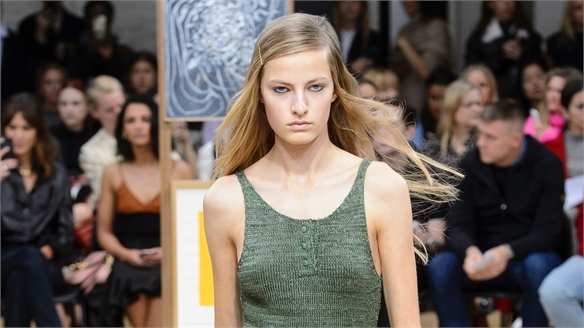 S/S 18 Milan: Colour Directions S/S 18 Milan: Colour Directions Milan delivered confirmation of the key brights that have emerged over the past three weeks of shows, throwing a new level of green into the S/S 18 melting pot, along with a level of the palest aquatic tints. S/S 18 Milan: Footwear & Accessories S/S 18 Milan: F&A Dual-handled bags and chunky buckles on kitten heels are just two of the new trends emerging from Milan for next summer’s must-have footwear and accessories, along with quirky socks and minimalist earrings. 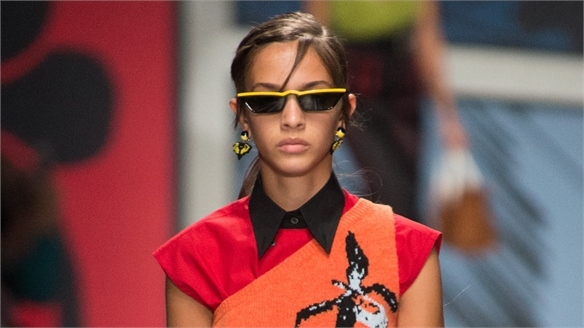 S/S 18 Influencer Show: Prada S/S 18 Influencer Show: Prada A strong S/S showing from Miuccia Prada, dedicated to the power of women and their strength in the face of adversity. 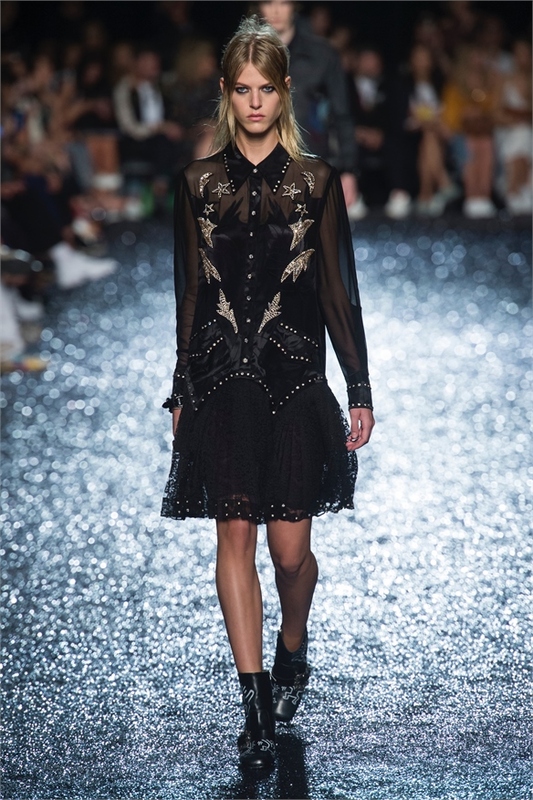 That message was delivered in everything on the runway, from the masculine tailoring, to the rock-studded accessories. 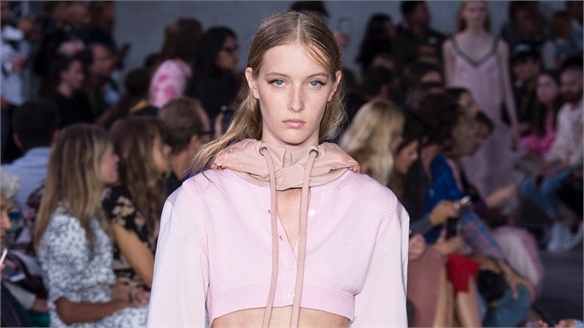 S/S 18 London: Key Looks S/S 18 London: Key Looks Pragmatic sportswear pieces updated in unexpected luxe fabrications were a key trend for many London designers, while escapist influences saw a retreat to the comforting world of the nursery, with girly, ‘Sunday Best’ looks. 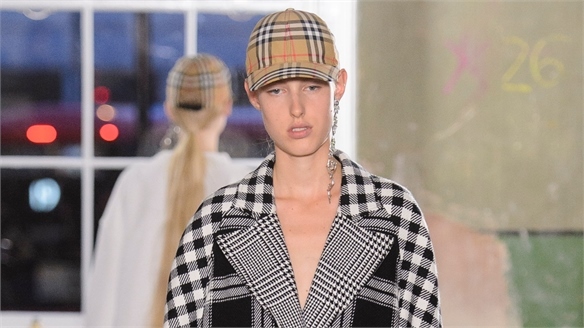 S/S 18 London: Key Items S/S 18 London: Key Items Protective outerwear was the biggest news on the London runways, along with the ongoing importance of casual sports-themed silhouettes and a raft of pretty babydoll dresses. 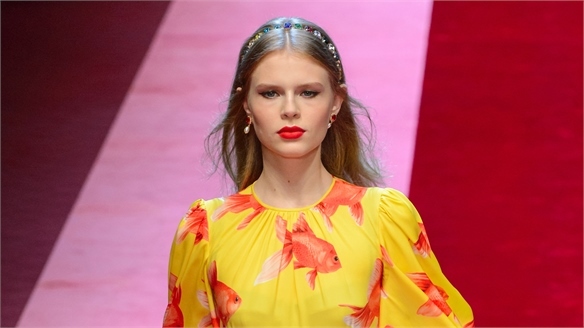 S/S 18 Influencer Show: Gucci S/S 18 Influencer Show: Gucci Milan Fashion Week got off to a rip-roaring start with Gucci’s ode to all things glitzy and retro-inspired. Designer Alessandro Michele gave us 70s Princess Diana tweeds, 80s Dynasty shoulders and the razzle-dazzle of Elton John’s vintage costume box, via the overblown excesses of Farrah Fawcett hair. S/S 18 London: Colour Directions S/S 18 London: Colour Directions S/S 18 looks set to be a colourful season. 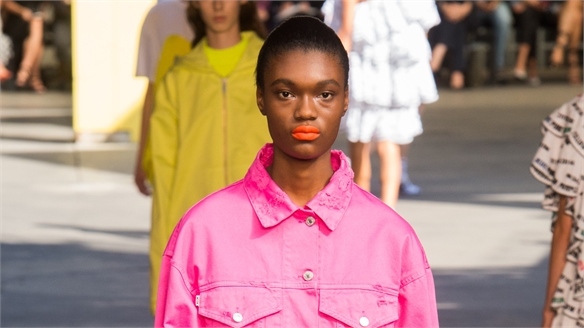 The chalky mid-tone pastels we highlighted from New York were confirmed on the London runways, where they hit the sweet spot alongside a vivid range of hot brights. 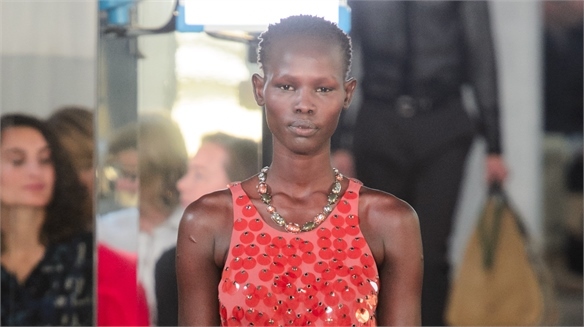 S/S 18 London: Fabric Directions S/S 18 London: Fabric Directions Sheen and shine were confirmed as key finishes for next summer as the London runways backed the mood for disco-diva satin and shimmering sequins. But it was the designers’ use of nylons, plastic and household-inspired cottons that really looked new. 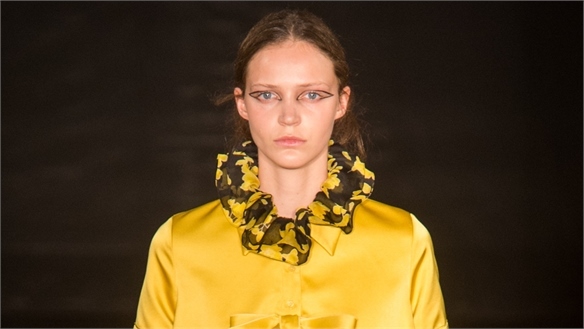 S/S 18 London: Print & Pattern S/S 18 London: Print & Pattern A surprising lack of print on the London runways left the door open for designers to focus on reinventing generic favourites, as well as revisiting the contrast of high-spec, photo-real digital prints. 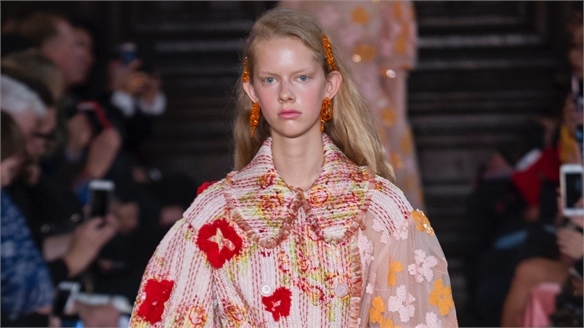 S/S 18 Influencer Show: Simone Rocha S/S 18 Influencer: Simone Rocha Simone Rocha delivered one of the prettiest collections of the season so far, tapping into the emerging mood for escapism with silhouettes straight from the Victorian nursery. 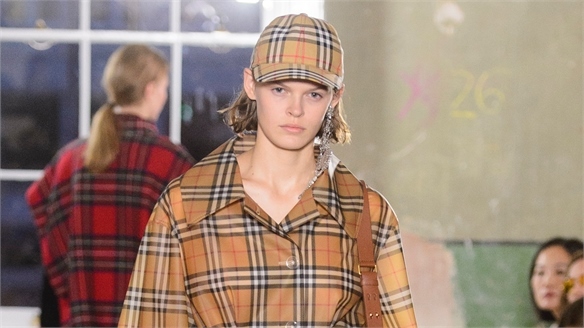 S/S 18 Influencer Show: Burberry S/S 18 Influencer Show: Burberry It may have been a ‘see now, buy now’ collection targeted at A/W 17/18, but chief creative officer Christopher Bailey’s latest outing showed he’s way ahead of the curve when it comes to influencing trends for S/S 18. 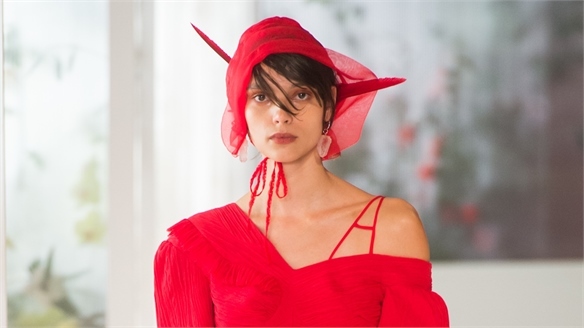 S/S 18: New York City Edit S/S 18: New York City Edit The S/S 18 season kicked off in New York with more than 150 runway shows spelling out the key messages for next summer. Our New York City Edit cuts through the noise and analyses the commercial must-haves for the season ahead. 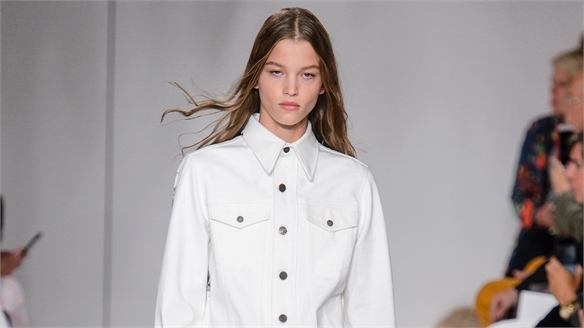 S/S 18 NY: Key Items S/S 18 NY: Key Items New outerwear directions and a raft of key pant shapes were the hero pieces on the New York runways, while sportswear and 80s/90s influences continue to dominate silhouettes. 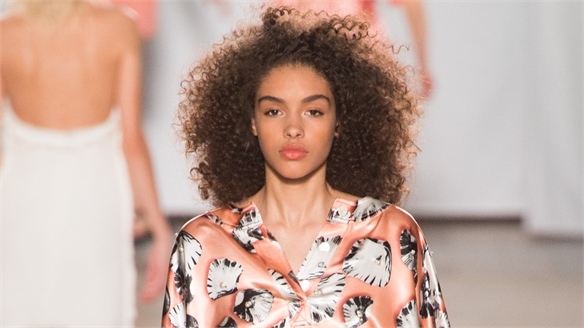 S/S 18 NY: Key Looks S/S 18 NY: Key Looks From stars and stripes pageantry to Hitchcock heroines and a contemporary, feminine take on athleisure dressing, Americana influences drove the looks on the New York runways. S/S 18 NY: Print & Pattern S/S 18 NY: Print & Pattern Nothing says new season as much as the latest print and pattern directions – whether you’re following the art trail or working the newest florals into the fashion mix. 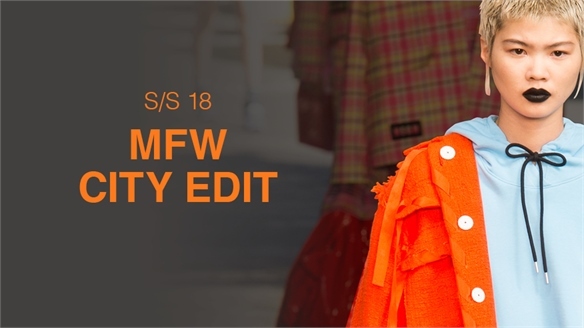 S/S 18 NY: Fabric Directions S/S 18 NY: Fabric Directions Concise new fabric directions set the scene for S/S 18 as sheen and shine tip the fashion scales alongside new takes on classics like summer checks and denim. 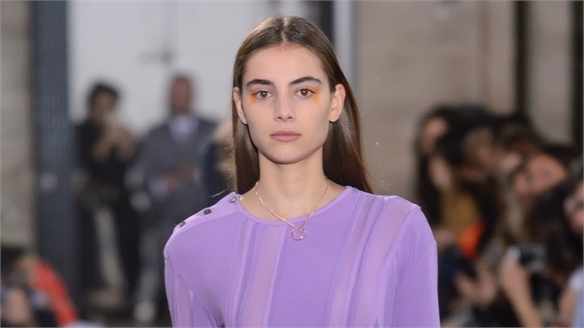 S/S 18 NY: Colour Directions S/S 18 NY: Colour Directions Next summer’s palette looks set to be an optimistic affair, with chalky, mid-tone pastels competing with a range of in-your-face, saturated brights, and the contrast of sharp white. 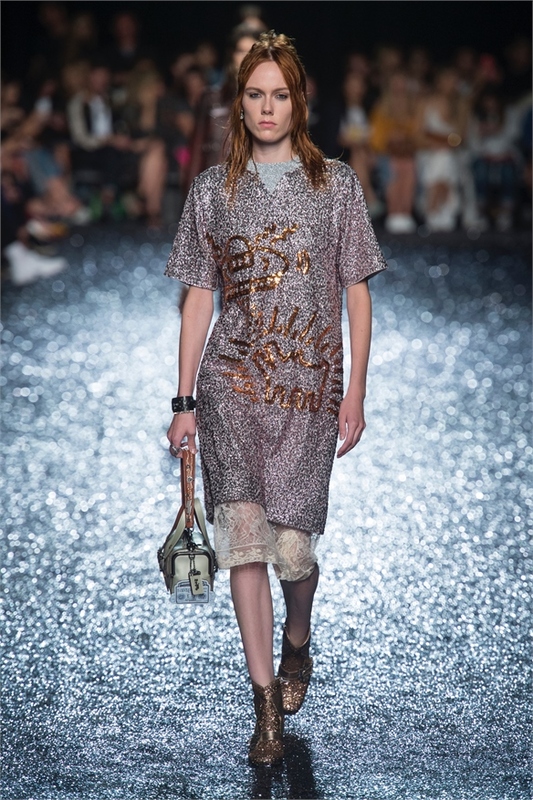 S/S 18 NY: Footwear & Accessories S/S 18 NY: Footwear & Accessories Retro influences coloured the key accessory and footwear directions on the New York runways, with the 80s and 90s emerging as the style decades to watch. 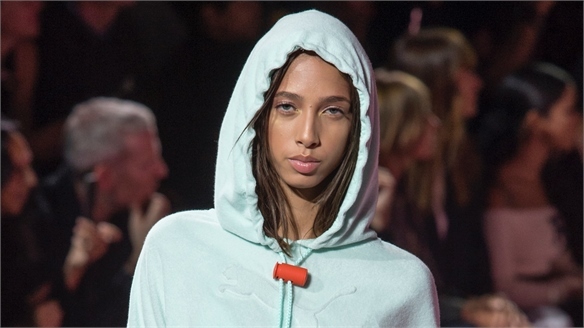 S/S 18 Influencer Show: Fenty x Puma S/S 18 Influencer: Fenty x Puma New York Fashion Week got a much-needed jolt in the arm with Rihanna’s latest outing for Puma. Street met runway via Insta club-girl cool with a collection that packed a punch and ticked all the season’s emerging trend boxes. 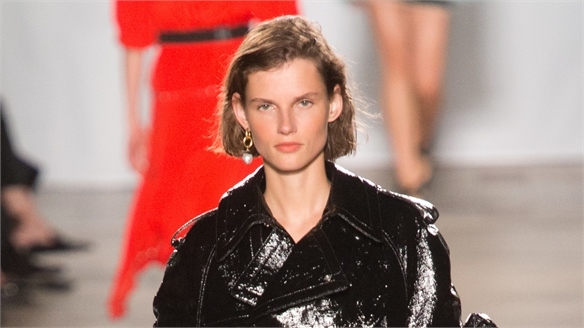 S/S 18 Influencer Show: Tom Ford S/S 18 Influencer Show: Tom Ford New York Fashion Week kick-started the Spring/Summer 2018 season with a power-packed show from Tom Ford, who returned to the runway with a timely take on the current mood for all things 90s. 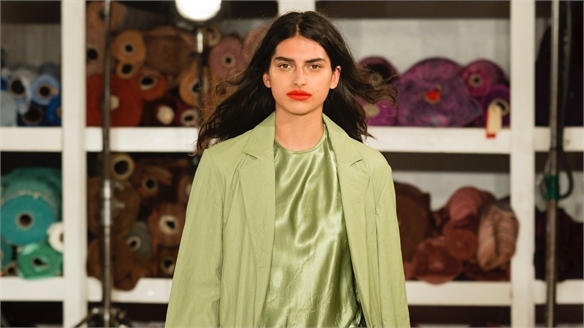 Youth Style Tribes 2018 Youth Style Tribes 2018 We look at the five key youth fashion tribes that retailers and brands should aim to appeal to on a peer-to-peer level in the latest report of our fashion lifestyle series. Noughties nostalgia, a taste for luxury, a precise pragmatic approach, resilient craftsmanship and sneakerhead culture are their key characteristics. Find out who they are, how they think, where they shop, and what they’re wearing. 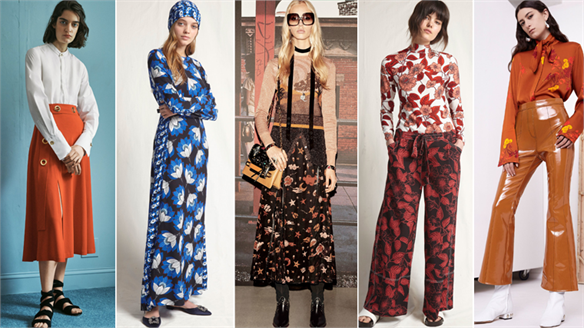 Resort 18: 70s Cinematic Resort 18: 70s Cinematic Omni-nostalgia is all around us, and this pre-season sees an authentic take on 70s post-hippy geek chic evolving as a key look. Perfect for juniors, this offers a clear update on our Pre-Fall 17 Boho Geek trend. 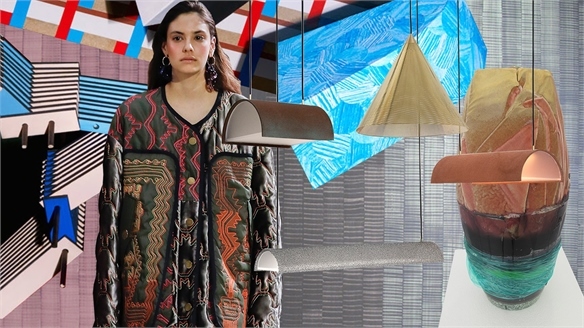 Human-Made: Materials Human-Made: Materials As robotics and artificial intelligence continue their takeover, we see a return to craft and a drive for more meaningful stories within products. Human-Made delves into our personal histories to share traditions, narratives, textures and materials that speak of particular times, places and cultures. We highlight creative interventions within industrial processes that are spurring innovation and supporting the preservation of employment and heritage. 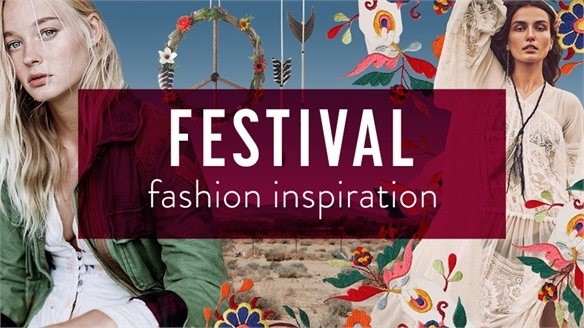 Festival 2018 Fashion Inspiration Festival 2018 Fashion Inspiration Inspired by our Off-Grid Fashion Forecast, Festival 2018 is full of countercultural references from the peace movement of the late 60s and 90s-era grunge. American folk, reappropriated military, destroyed tees and flower-girl flourishes are key – reminding us of the spirit of Haight-Ashbury and more freethinking times. Festival style goes back to its roots. S/S 17 Influencer Show: Coach S/S 17 Influencer Show: Coach A singular vision, strongly defined styling and a seasonless approach to Spring/Summer 2017 gave Stuart Vevers’ latest collection for Coach the sit-up-and-take-notice factor – a welcome diversion from the mediocrity that has been the stamp of much of New York Fashion Week. 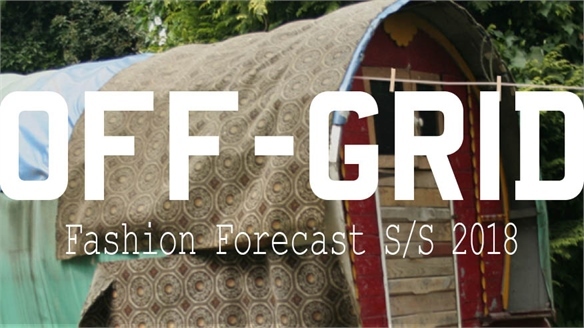 Off-Grid Spring/Summer 2018 Off-Grid Spring/Summer 2018 Off-grid living looks all the more appealing in uncertain times, and for S/S 18, folk-inspired fashion takes a modern-day-traveller turn. Freewheeling life on the road appeals in bucolic scenes (with little interference from technology), along with an outdoor, adventurous spirit. Both emerge in liberating yet protective layers. Beauty is also found in the decay of derelict buildings, lending a romantic, grunge-like twist. The New Fashion Landscape The New Fashion Landscape From climate chaos and fast-fashion fatigue, to depleting natural resources and underserved demographics, the fashion industry is currently going through major upheaval. We dissect the big external issues affecting business for retailers, brands and manufacturers, and highlight the biggest opportunities for growth – with insights that are relevant to a breadth of industries.